Our goal is to create a successful and positive experience for all of our customers. We are available to answer any questions you have regarding your order and installation. Below is a general outline of our process. The process for each project can vary slightly. Following your design meeting we will provide you with a detailed estimate which is valid for 30 days. We can help you with your decision on which color, size and pattern is ideal for your paver project. 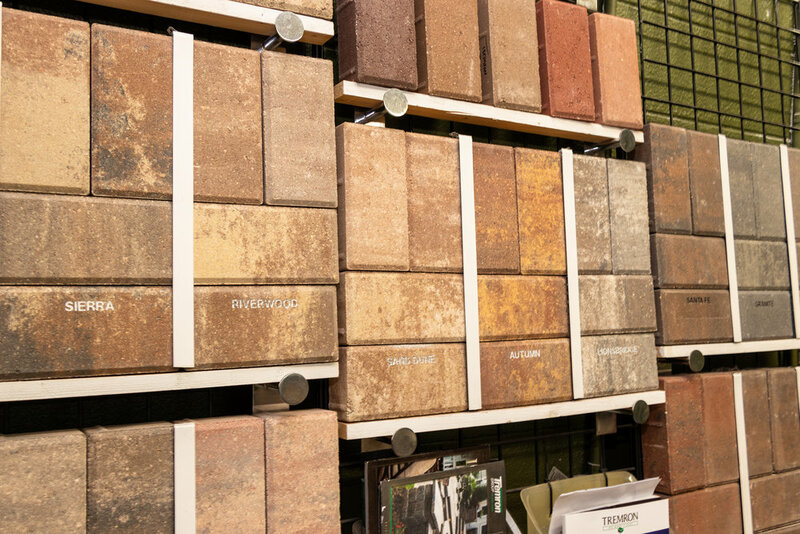 We can supply you with samples for you to see what looks best with your homes materials and colors. We're happy to provide a list of completed projects for your selected color and pattern options. You can drive by to see examples of completed projects. This can be a great way to help you visualize how your project may turn out. Once you've decided on your paver manufacturer, color and size we will place your order. You're pavers will be made specifically for your project. We will work with the manufacturer who will provide an estimate of when your pavers will be completed. You can expect a range of 4 - 6 weeks from when your order is placed. If your project includes the installation of a driveway then a permit is likely to be required. Some municipalities require a permit for new patios and walkways. We can obtain the permit for you. If a permit is required, a copy of your property survey will be required. Your project will include some degree of demolition and excavation. For large projects including driveways we will use a bobcat excavator to remove material from your project area. For smaller projects, excavation can be done by hand. Excavation of your property is typically scheduled the day prior to when your pavers will be delivered. Pavers may have to be placed in your grass areas as most municipalities will not allow for any materials to be placed in the street for safety reasons. We will work with you to mark a specific area for where you would like the pavers placed. Your project will also include the use of base material or sand or both. This material may need to be placed in your existing driveway. Once your property has been excavated and the base material has been delivered, our craftsman can begin installing your pavers. Installation will begin with a layer of base material for which your pavers will sit on top of. This base layer will be compacted down and leveled to provide a flat surface for your pavers. The base layer will also be pitched slightly to allow for appropriate rain drainage. Once the base layer is complete your pavers will be installed in your chosen pattern. Each brick is installed by hand by our expert installers. For projects with rounded edges your pavers will be cut to make a tight and uniform fit. A small concrete edging will be applied around the outside edge of your pavers. 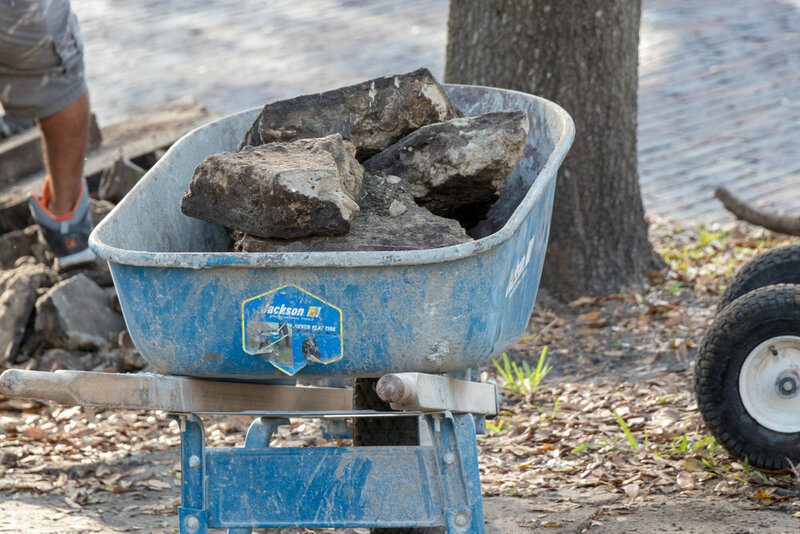 This will help prevent your pavers from shifting over time. Once your paver surface has been laid down a final step is taken to lock your pavers in place. Sand will be swept and washed into the paver joints. This maximizes the strength of the paver interlock. We'll wrap your project up by removing any remaining materials and waste. We will leave you with leftover pavers in case you need to make a repair in the future. 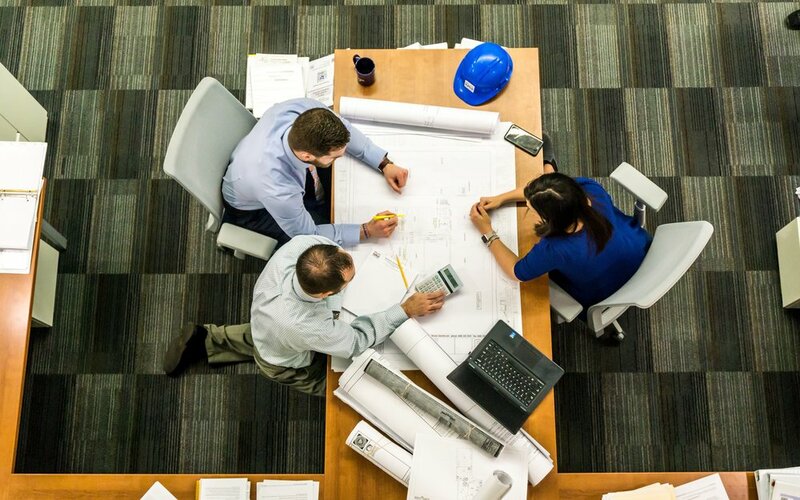 We'll meet with you to review your completed project to ensure you're satisfied, happy and ready to recommend us to your friends and neighbors.